Carers are often the unsung heroes of health, social care and communities. They are frequently hidden and under supported, working around the clock, 365 days a year to support family, friends and neighbours – simply because they care. I write this with my heart on my sleeve – I have lived and breathed being a carer - it is both rewarding and exhausting. Wearing many hats (and I'm proud of all of them), I am frequently asked what more can we do to support carers? My answer is simple - be aware - be carer aware. Carers appear in many guises. It’s hardly surprising, when so many of us will take on the role at some point in our lives. Indeed, one in ten of us are already balancing caring responsibilities with work, school or college. 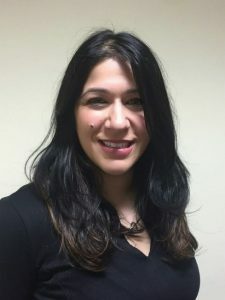 It is not always easy for someone to identify as a carer. As a system and a society, I feel we have a responsibility to support anyone who provides informal caring support to a friend or loved one, whether they consider themselves a carer or not. The Carers Action Plan’s focus on encouraging community networks, flexible work patterns and ‘carers’ leave’ is therefore very welcome. The plan acknowledges that carers are often isolated due to their caring role and prioritise the health of others before their own, leading to negative health outcomes. I have a lifelong impairment because of my caring role. Caring for others - no matter how willingly - can have a mental as well as physical cost and loneliness is a major culprit. The theme for this year’s Carers Week is ‘healthy and connected’. It is vital that carers have access to both information and practical support to care for others without harming themselves physically or mentally. Carers often tell me one of their biggest sources of stress is a lack of joined up care and support. This is an important area I am trying to address alongside my colleagues (including those working in the community) as part of my role as Carer Programme lead for West Yorkshire and Harrogate Health and Care Partnership. Making sure all acute trusts in West Yorkshire and Harrogate support carers in the same way and value their contribution. Supporting working carers to maintain their health and wellbeing and remain in work to progress their careers. Working with young carers to encourage and support their career aspirations in health and social care. Putting processes in place to identify carers as early as possible in primary care and signpost to local organisation for information and advice. Having an integrated system where health and social care services work together has given us a system wide opportunity to encourage organisations to support the case for change. We want to see them putting the carers’ agenda at the heart of their decision making and service provision. Working across West Yorkshire and Harrogate, sharing good practice and learning from our six local areas (Bradford District and Craven, Calderdale, Harrogate, Leeds, Kirklees and Wakefield) has given us a great platform to implement positive change over a much larger area. 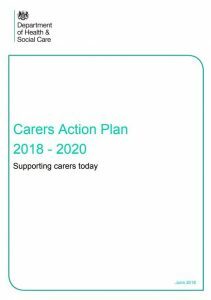 I hope this new Carers Action Plan – and the Green Paper to follow – will build on – and realise – this ambition for informal carers everywhere. I for one don’t want to miss this big opportunity. I understand what have been advocated. Wellness is the key. When people are well and healthy into their 80s, 90s and even 100s there will be a smaller need for carers as seniors will care for themselves. If there's one healthy senior citizens in every twenty, that one senior may have a career as a carer for the rest. The new trainee nursing associate course employed/enrolled candidates from 18 to 65 years old. This shows that some senior citizens are very capable people and an overlooked resource. Just saying... I may have missed the point though.